MTSU Theatre delivers a ‘Royal..
MTSU will be the center of an in-depth examination of African-American history led by an award-winning author. With the theme of “Slavery, Resistance and Community,” the fifth annual Slave Dwelling Project Conference will bring scholars from across the country to MTSU Wednesday, Oct. 24, through Saturday, Oct. 27. 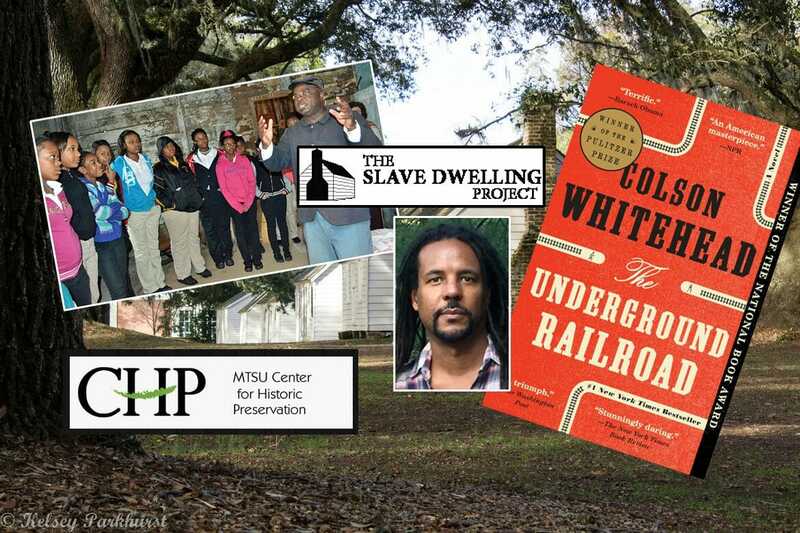 Colson Whitehead, the Pulitzer Prize-winning author of “The Underground Railroad,” will deliver the keynote address at 6 p.m. Thursday, Oct. 25, in the Student Union Ballroom. The speech is free and open to the public. Whitehead will sign copies of his book following the address. In addition to the Pulitzer Prize, “The Underground Railroad” won the National Book Award, the Carnegie Medal for Fiction, the Heartland Award, the Arthur C. Clarke Award and the Hurston/Wright Fiction Award. In “The Underground Railroad,” the train is a physical subterranean means of transportation instead of an informal network of people helping slaves escape to freedom, as it was in real life. The novel follows two slaves, Cora and Caesar, who ride this civil rights subway in search of relief from oppression. “Even though it’s fiction, it pulls in aspects of African-American history related to slavery and the Underground Railroad, but also related to later aspects of African-American history,” said Antoinette Van Zelm, assistant director of the MTSU Center for Historic Preservation. The Slave Dwelling Project is a South Carolina-based nonprofit organization founded in 2010 by Joseph McGill Jr., a Civil War re-enactor and slave descendant, to preserve and interpret slave dwellings. Over time, its mission grew to include education about slavery, racism and race relations. Conference topics include the lodge in African-American community life, the Tuskegee syphilis experiment and African-American cemeteries. The conference is sponsored by the Center for Historic Preservation, the Tennessee Civil War National Heritage Area and the Slave Dwelling Project. Online registration is available for $175 through Oct. 15 at www.slavedwellingproject.org. Registration is $50 for graduate students. Reserved parking will be available for conference attendees in the Rutherford Boulevard parking lot. For more information, contact the Center for Historic Preservation at 615-898-2947 or histpres@mtsu.edu.